FinCon was featured in prleap to announce our biggest conference ever coming up in only two weeks! Here’s some of what prleap had to say. FinCon17 is the premier personal finance digital media and marketing conference. This year over 1,500 “money nerds” will descend on Downtown Dallas at FinCon’s seventh annual event this October 25-28. Top-ranked personal finance shows like Stacking Benjamins and Then Financial Diet will be featured in the live podcasting and video booths. The conference attendees also include notable personal finance media companies like Nerd Wallet, The Penny Hoarder, and Bankrate. The majority of educational sessions are centered around digital media and marketing topics like podcasting, YouTube, blogging, and social media. However, attendees will also discuss cutting-edge money topics like early retirement, side-hustles, universal basic income, and award travel. More than 100 sponsoring organizations and exhibitors will participate in FinCon17. Key partners include leading global advertising technology company Media.net, and Ally, an industry-leading online bank, and brokerage. For the first time ever, FinCon is also opening their doors to the general public for one afternoon of the event. This “event within the event” called Your Money Live! is a great way for the influencers who attend FinCon to invite their audiences to Dallas to meet up and learn from the top finance experts around. In addition to everything else, the FinCon community participates in one community service event each year. For 2017, FinCon is partnering with the National Endowment for Financial Education, on relief efforts for people affected by Hurricane Harvey. FinCon will also bring back the FinTech Startup Competition for the third consecutive year. New FinTech companies will present and compete for media mentions and $1,500 in cash prizes. This year’s competitors include the Dallas-based startup Take Command Health, and new debt payoff app, Qoins. Registration for FinCon17 and Your Money Live! is currently open, with regular tickets available for $469 and Pro Pass tickets available at $799. The pro-pass includes an extra networking session with speakers and panelists and “pro networking” with brands. Tickets to Your Money Live! are $39. FinCon is the world’s largest [Fin]ancial [Con]tent Expo. 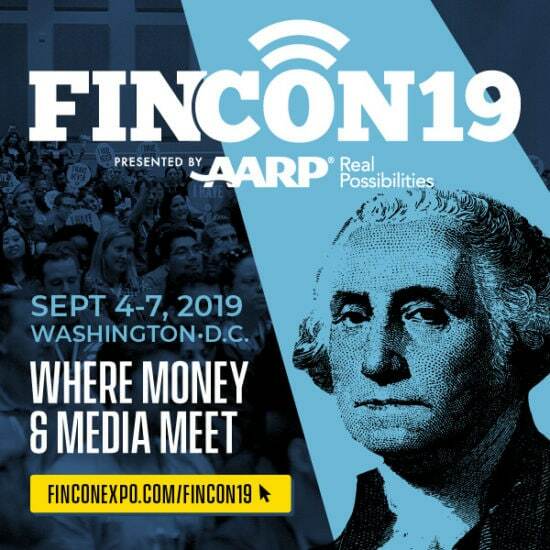 Launched in 2011 as the Financial Blogger Conference, FinCon has since expanded to include the most influential digital and social content creators in the personal finance. FinCon is owned and operated by PT Money Conferences, LLC, a Frisco, TX-based company. For more information about FinCon, visit www.FinConExpo.com.